Saint Lucia’s Fire Chief says he can’t attribute any loss of life to a recent strike by firefighters. Joseph Joseph acknowledged that a number of stations were closed as a result of the industrial action by members of the Saint Lucia Fire Service (SLFS). Joseph also said responses to certain calls would have been delayed. “Even when your operations are normal, depending on the time you receive calls and of course the number of calls that you have to respond to, there may be a delayed response to an emergency,” the Saint Lucia Fire Chief explained. “I cannot relate any particular accident to the strike in terms of what occurred or the outcome of the response,” he told St Lucia Times. Joseph asserted that when there are limited numbers of persons responding to incidents, there would be negative impacts. They returned to work between Friday night and Saturday morning, after the government agreed to scrap contracts for temporary firefighters. The Saint Lucia Fire Service Association said that the resumption of work would be on condition that the authorities address several matters raised in a letter from Prime Minister, Allen Chastanet. The association was also expected to write Chastanet on the issue of the work resumption. The Fire Chief told St Lucia Times that he was not aware of exactly what the association is presenting to the Prime Minister. He revealed that he is yet to receive an official copy of the letter that is being delivered. But Joseph said he is hoping that all goes well from henceforth and the people of Saint Lucia will be provided with the service that firefighters are being paid to supply. 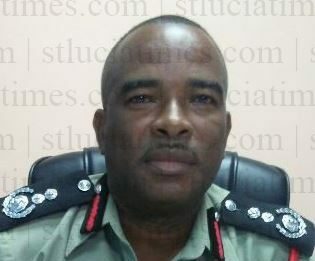 “Like every other department, the fire service has its own issues and I am willing to work with everybody – the association, our ministry and the government, to resolve those issues and I am looking forward to everyone coming on board and have the systems working as they should,” the Saint Lucia Fire Chief said. Making amends Mr. Chief? I hope it is genuine. If anyone has to be blamed it has to be Hermangild, he is not taking the fire fighters serious enough. He is already pointing fingers at Shane. Don’t throw stones when you have glass house. Don’t blame the fighters, they were fighting for their rights! I’m always one the side of employees fighting for their rights the Bourgeois class already have enough help fighting down working class and poor people.